For more than two decades, this professor was focused on studies related to people suffering from cancer and he was finally able to come up with a shocking conclusion. It seems that the cancer industry has only one objective more profit. Big Pharma, doctors, healthcare facilities and other participants in this industry share the profit whenever some patient accepts to practice regular cancer treatment. This therapy includes taking chemotherapy toxins in the system, radiating the body with ions or removal of certain body parts and in many cases the therapy includes all methods. If we take a close look at the statistics, we will see that chemotherapy is ineffective when it comes to curing cancer and for some reason scientists are ignoring or hiding this fact. According to Dr. Hardin B. Jones who once worked as a professor of medical physics and physiology at the famous Berkeley College, chemotherapy is ineffective and he spent more than 20 years of his life studying the effects of this therapy in cancer patients and analyzing their life expectancy. Dr. Jones says that the majority of people suffering from cancer exposed to chemotherapy end their lives in great pain. In addition, he is emphasizing the fact that cancer patients who practice chemotherapy will most likely die faster and in greater pain compared to patients who have chosen any other treatment or no treatment at all. The research that lasted for a long period of time, helped him to come up with a conclusion that conventional cancer therapy reduces life expectancy and accelerates the deterioration of the system. What is even worse, the cancer industry is well aware of this fact, but this is a billion-dollar industry and they ignore this fact. Dr. Jones says that patients who don’t practice chemotherapy live about 12 years longer (on average) compared to those who follow this therapy. His study was released in the reputable New York Academy of Sciences journal. 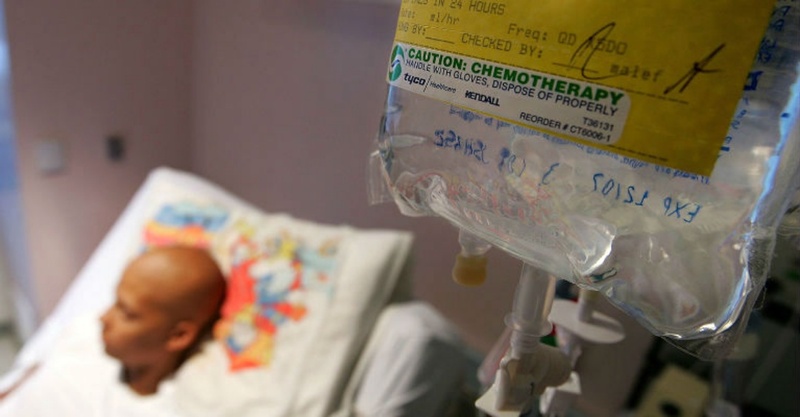 Those who thought that chemotherapy is the best choice usually die three years after they were diagnosed with cancer and there are many patients who die after a month or two. Breast cancer patients that don’t receive chemotherapy manage to live four times longer compared to those who receive it. This is a fact and you have probably never heard about it. Mass media are covering up this because of their connections with the cancer industry. Another scientific study found in the American Medical Association Journal from 1979 pointed out that the majority of the popular techniques for treating and diagnosing breast cancer (and most of them are used today too), didn’t have positive effects in most patients. In addition, two other studies from the period when the influence of Big Pharma was not that great, one from Britain published in the Lancer 35 years ago and one from Israel (1978), had the same conclusion. The study published in the Lancet has shown that despite the fact that more and more patients have received chemotherapy; the survival rate of patients with breast cancer had not decreased in the past 10 years. What the Big Pharma doesn’t want us to know is that cancer patients die from the treatment (mostly from chemotherapy) not from the effects of cancer. Chemotherapy is a specific treatment that is focused on elimination of healthy cells in order to prevent the spreading of cancer and after that it is focused on cancer cells. The majority of patients who have died because of this disease are patients who died of malnutrition. Cancer-affected cells absorb all the nutrients from our body and block the work of the immune system. After some time, the system is so weak that it cannot defend itself from any threat. According to MD UCSF Allen Levin, modern medicine already has the universal cure and all the facts related to cancer are hidden from the public. The reason is simple – one treatment costs up to one million dollars. Chemotherapy cannot eliminate colon cancer, breast cancer or lung cancer. We have evidence for this, but healthcare professionals are still practicing chemotherapy. Dr. Ulrich Abel, a famous German epidemiologist, has performed a thorough research and analysis of all the popular studies related to chemotherapy from all over the world. The conclusions he has are surprising and these conclusions must be read by people who are planning to receive chemotherapy. Dr. Ulrich Abel has published a book called The Doctor In The House.